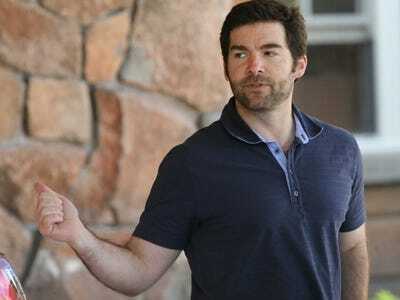 By selling LinkedIn to Microsoft, LinkedIn CEO Jeff Weiner, and the company’s other named officers, will be making a pretty penny. Microsoft agreed to buy the company for $196 a share in cash, a 50% premium over LinkedIn’s closing price on Friday. This is s a sweet deal for LinkedIn’s shareholders. The stock price crashed big time in February, when a weak financial outlook worried investors about the company’s prospects for ongoing growth. Prior to the crash, the stock had been trading around $192. It fell more than 40% to $108 in the aftermath. It has since been been inching its way back up, to around $135. Even so, the crash was so severe that the month after it happened, Weiner gave his $14 million stock bonus to his employees, donating it back to the stock option pool, to help with employee morale. With the sale, Weiner is more than making up for the stock he gave to employees. Weiner’s total change-of-control compensation package was calculated to be worth about $32 million, including $2.5 million in cash severance, nearly $23 million in restricted stock units and another $6.4 million in stock options, in forms filed with the SEC earlier this year. However the value of the stock was based on closing price on December 31, 2015, which was $225.08. The actual sale of the company was lower than that, at $196 share, which should reduce the value of his payout to about $28 million. Of course, this payout refers only to the specific portion of Weiner’s financials that are affected by the company’s change of control terms. He may also have a other holdings in the company, which would now be worth significantly more than they were before the Microsoft acquisition. Here’s what LinkedIn said about executive payouts to the SEC. The following table sets forth quantitative estimates of the benefits that would have accrued to our Named Executive Officers pursuant to each of their offer letter and change of control agreements if their employment had been terminated by us without cause or had been constructively terminated, each within 12 months following a change in control consummating on December 31, 2015. (1) Cash severance payment consists of annual base salary and bonus at December 31, 2015. (2) For each Named Executive Officer the estimated benefit amount of unvested restricted stock units was calculated by multiplying the number of unvested restricted stock units by the closing price of our Class A Common Stock on December 31, 2015, which was $225.08. (3) For each Named Executive Officer the estimated benefit amount of unvested stock options was calculated by multiplying the number of unvested stock options subject to acceleration held by the applicable Named Executive Officer by the difference between the exercise price of the option and the closing price of our Class A Common Stock on December 31, 2015, which was $225.08.